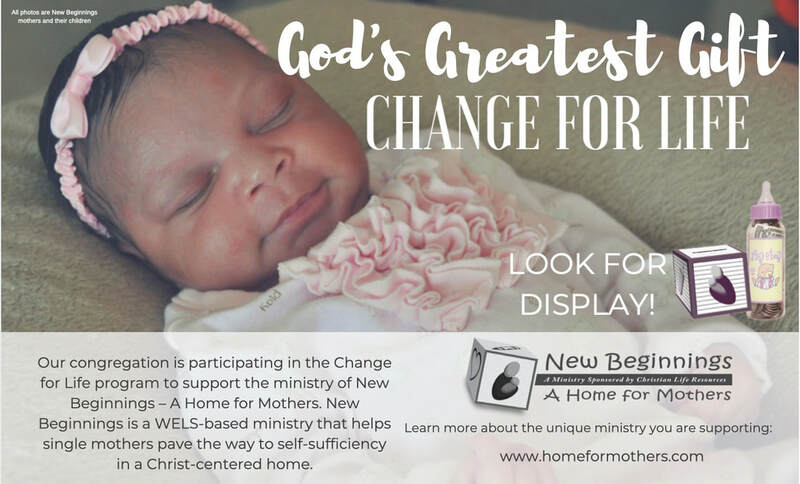 The New Beginnings - A Home for Mothers ministry – sponsored by Christian Life Resources – relies on the generosity of caring people like you with the “Change for Life” program to sustain this home for young mothers who make the choice to save the life of their babies. 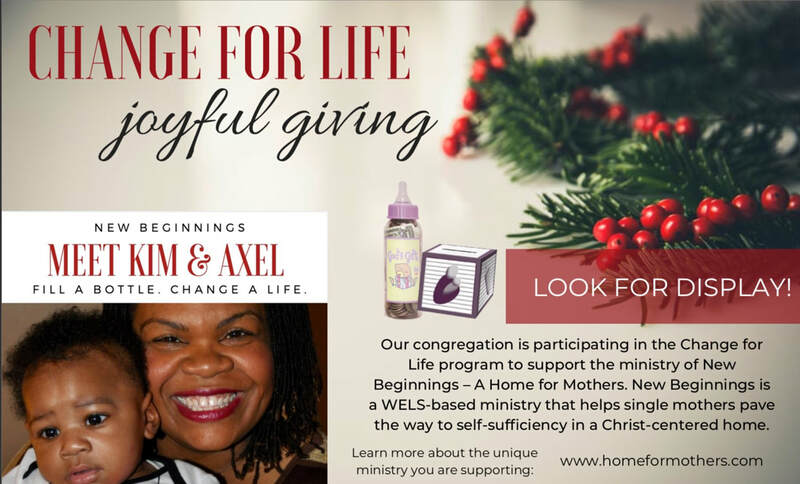 Your gifts of love are used to support every aspect of the New Beginnings ministry. SIGN UP! 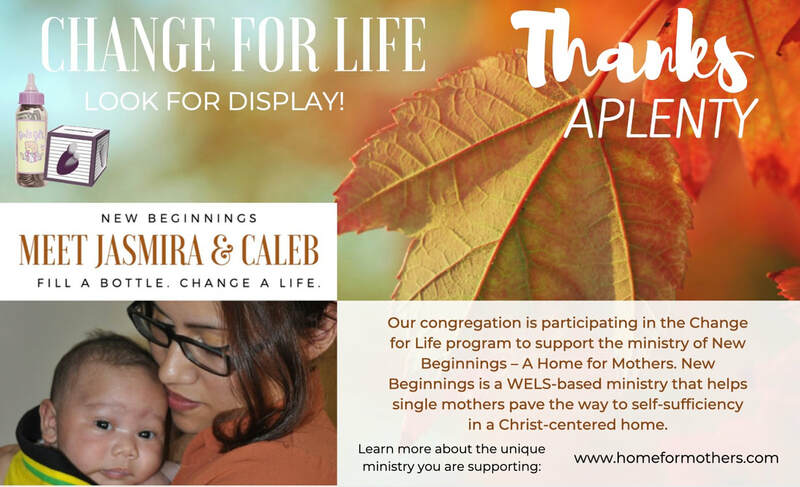 Arrange for your church or school to participate by contacting New Beginnings. Call 1-800-720-6667 or email us. You can also use the online form below or download the participation form here, fill it out and return it to our office. After receiving the form, we will send you the appropriate materials. 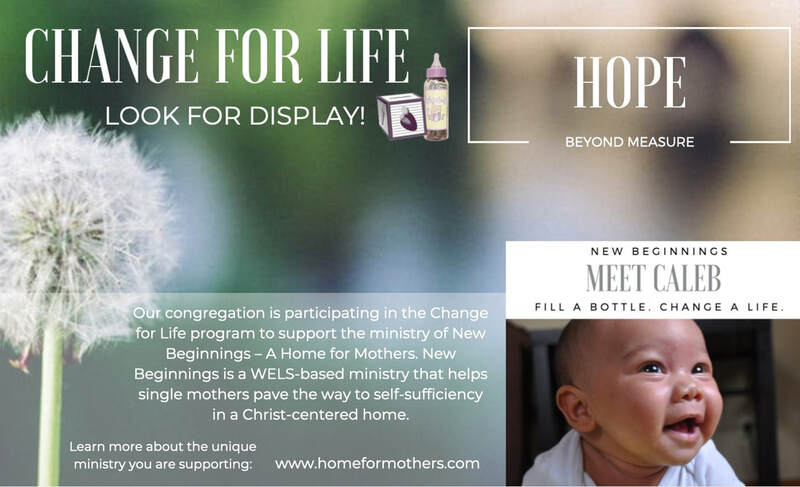 Announce the “Change for Life” project in advance with bulletin and newsletter announcements (we'll provide samples). We'll also send any promotional materials that you select on the form (check out the new themes to choose from below!). Set up an easy-to-use coin box display that we provide. Order the optional base and make it a free-standing display. Or, set up baby bottles on any table-top. 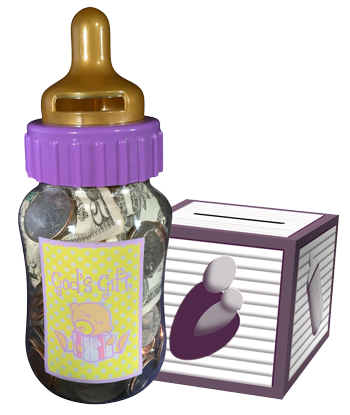 Collect the filled coin boxes or bottles and send the proceeds for New Beginnings to Christian Life Resources. If you use the coin boxes, you can save the display for future use. 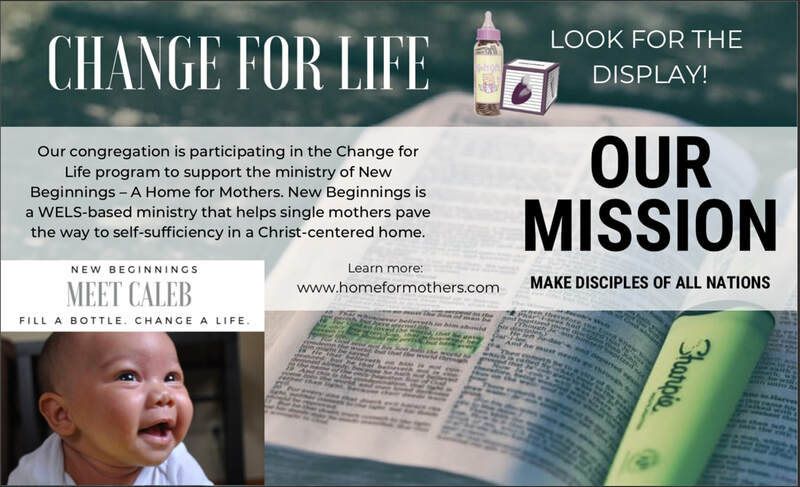 *You can also participate in the Individual Change for Life program by ordering a coin box and collecting at home. 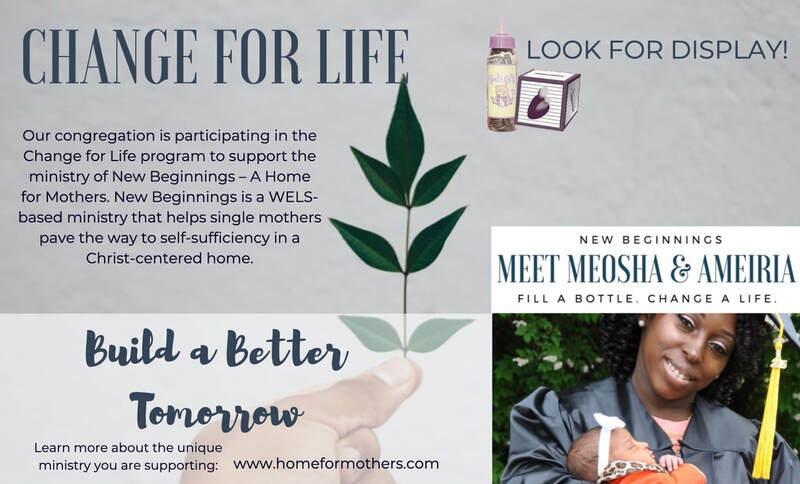 Click here for some tips and tricks for conducting the "Change for Life" project. Everyone’s loose change, together, can go a long way to support this vital work! Click each item below to download. Click each item above to download.